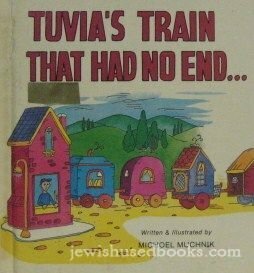 Expert Review of Tuvia's Train that Had No End... by Michoel Muchnik, one of our picks of the top Jewish books for kids! A great book for Jewish kids of all backgrounds. To cheer up their sick rabbi, Tuvia and her friends construct a train with cars decorated to illustrate some of the mitzvahs in the Torah.